There’s so many different types of properties on the market and being built these days, that I thought I would do a focus on what the difference is between some of the real estate out there – beginning with Condominiums and Townhomes. First of all, “condo” is a type of ownership. 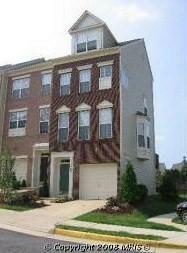 It applies to both a Condo (as you think of it as an apartment style living, described below) and a townhouse. If there’s a Home Owners Association, or any kind of monthly fee, it’s generally condo ownership for both types of property. A townhouse is a description of the property, much like you’d call a house a bungalow, rambler, colonial, etc. A townhouse is a single-family residential unit that is generally part of a group of attached units, all with individual property rights. Ownership of such units is similar to single-family homes where you’re responsible for the exterior and landscaping.